Publishers(s): Anirog Software | Artworx Software Co, Inc. 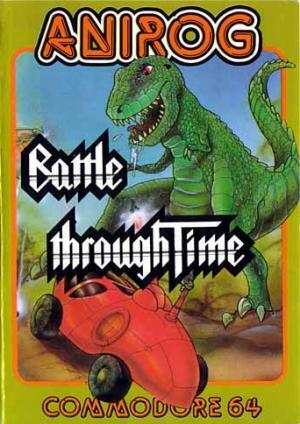 In Battle through Time you drive a small vehicle and have to fight through different worlds. At the first levels you have to avoid airplanes and their bombs and shoot them. Furthermore you encouter obstacles which you have to overcome. At the start you are in World War I, then in World War II. The third level happens during the Korean War, which is accompanied with the melody from M*A*S*H.